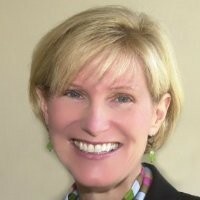 Jeannee Parker Martin, President & CEO of LeadingAge California and Vice Chairman & Principal of The Corridor Group Holdings and subsidiary companies, is a leader in the strategic development of innovative healthcare programs and aging services. Active in health service planning, development and delivery of care for over 30 years, Jeannee has assisted organizations around the world ─ spanning the U.S., Central and South America, Thailand, and Turkey. Jeannee was the first and only home care and hospice expert to consult with the WHO Global Programme on AIDS, and for the U.S. Department of State in South Africa. Jeannee has advised some of the largest U.S.-based publicly-traded companies and non-profit healthcare organizations by providing them with effective strategies for growth and development, mergers and acquisitions, and operations and finance, Jeannee has served on 17 boards of directors and is sought out by boards and executive teams for her leadership and understanding of strategic, financial and governance matters. Her interest in Coats’ Disease seeded at an early age when she suffered from a rare retinal eye disease. Her steadfast commitment to finding a cure for Coats’ underpins all that she does for JMCDF. She has her bachelor’s degree in science from Georgetown University and Master’s in Public Health from Yale University.